Moore, Bryan, Schroff & Inoue LLP, located in Torrance, California, is a Southern California law firm specializing in family law and trusts and estates in the greater Los Angeles area. Our firm has successfully represented business owners, professionals and high net worth clients in complex dissolutions, custody matters, negotiations and litigation. Please see our family law, estate planning and administration, and collaborative law and mediation pages for further information about our areas of expertise. Moore, Bryan, Schroff & Inoue LLP has been listed in the “Best Law Firms” by U.S. News & World Report and Best Lawyers®, since 2010, and received a Metropolitan Tier 1 ranking in Family Law..
As one of the premier family law and trusts and estates firms in Los Angeles County, Moore, Bryan, Schroff & Inoue LLP is proud to offer sophisticated legal advice and counsel to our clients, always taking care to address the unique concerns of each client. We have the experienced lawyers and support staff necessary to handle major divorce and custody cases, complex litigation, and large estates. 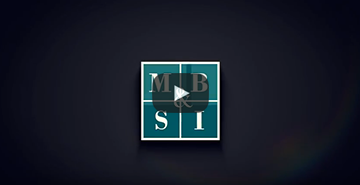 The partners of Moore, Bryan, Schroff & Inoue LLP are certified specialists in our practice areas by the State Bar of California Board of Legal Specialization, and have been selected as Southern California Super Lawyers for many years. Partner Christopher M. Moore and Sharon A. Bryan are peer-selected fellows of the American Academy of Matrimonial Lawyers (AAML). Chris is also a fellow of the American College of Trust & Estates Counsel (ACTEC), and has been selected as a Best Lawyer® by Best Lawyers in America© since 2008, and named the Best Lawyers® 2015 Lawyer of the Year in Family Law in Los Angeles. Ms. Bryan and Ms. Schroff have been peer selected as Best Lawyers® in their respective fields of practice since 2015. Our partners are rated AV by Martindale-Hubbell, indicating preeminent legal ability and highest ethical standards, and are included in the Bar Register of Preeminent Lawyers. We are dedicated to providing you with the best legal representation possible. Please contact Moore, Bryan, Schroff & Inoue LLP to schedule a consultation and learn more about our professional services.